Bubbl.us is a simple application that helps brainstorming online. "Excellent application to create diagrams"
The best of Bubble is that it is a simple application to use and that it does not require any type of explanation because its interface is very intuitive and all the menus are very intuitive, the application itself works without any kind of problem and meets my expectations . Among the different options offered, we can print the diagrams in documents or save the file in different formats such as PNG, JPG, HTML or PDF. It is also possible to share our work through a link generated by the application, this link is read only so it is not possible for other people to edit our diagram. Another feature that I liked has been that the application has a history in which each action counts, so it is possible to go back and edit or undo according to our needs. The only negative aspect I found is that it is not a very popular application so finding information about this application on the internet is a bit complicated but luckily it is very easy to understand how the app works so in the end you just learn by yourself. I recommend buying the license of Bubble since it is not very expensive and unlocks some really useful features, also I suggest that when you finish your work you save it locally to avoid loss of data, I do it by downloading the file in plain text. Personally at work I use this application to design the flow diagrams of the programming team, this team makes a sketch with the entities to represent and their functions, later I represent these entities in Bubble.us and through a link I can share I work to make sure that everything is well organized. The best thing about Bubbl.us is the simplicity of the application to capture ideas using diagrams, but the application also offers options to create UML diagrams that can be used to create programming projects and flowcharts. The interface is very clean and simple, to add a "bubble" in which you create ideas or actions, just click on the "+" button and write what you need. The application can be very useful if you work as a team and need to share ideas in a simple way. - Moving the bubbles is very complicated! When you put the cursor on the edge of the bubble you have to be very precise because if it is not impossible to move since the border is very thin. - While creating diagrams it seemed to me that dragging the bubbles slowed down the application a bit, although this can be my computer (but still it could be improved). I would recommend using Bubble if you are looking for a simple application to create flow charts or plasma ideas so you can organize your ideas and not forget them. The application provides a trial period in which you can use the most basic features. I was looking for an application to create flowcharts for programming projects especially for web projects in HTML and CSS and I needed an application that would simply allow me to create them without too many options, something quick to create. "A FRIENDLY AND ENJOYABLE ALTERNATIVE TO DRAWING MIND MAPS "
For a long while, I've seen that I remember better when I draw mind maps. After a long journey searching for the best online mind mapping software, I came across Bubble and I loved it. I love bubble because it makes it possible for me to make an elaborate mind map in under five minutes. Technically, the only thing to do is by adding a central point in your mind map, and then just click on the "addition" icons to start seeing new branches and "writing clouds" (and to fill them with your information). I've been doing this to "jot down" some processes and commentaries I receive from clients, and it has made my job easier. In my opinion, I can think that I dislike the lack of options and shapes in which you can see the "writing clouds" (for me, these "writing clouds" are the spaces where you type up the information with which you fill out the map). I personally think that it would be superb to get to choose from a wide array of forms (semi-circles, triangles, cilinders, and so on), and it would be even better to allow the user to draw and save their own personalized shapes. In my humble opinion, Bubble is the fastest an easiest software to make mind maps. If you try it, you'll see what I mean. Bubble makes it possible for me to quickly type up, in the form of a mind map" anything regarding my job. For example, I can use these mind maps to type up some modifications my clients want, and I can even use these mind maps to help me improve my work process. "This is the easiest mind mapping software I've encountered"
This mind mapping software is a little wonder. Before, it used to take me centuries to finish a mind map: I had to draw the "containers", then type up the mind map information, and then fill it with color. Now I can do this in a fraction of the time with Bubble. Actually, after I log into my account, I just need to press the "plus" sign to start a new "container" then add the proper text inside it, and finally select a color to fill my container. After this, I just have to tell the software where I want the next container to be, and repeat the process. Because of this easiness of use, Bubble has become my favorite tool when I need to make mind maps. Even though I hate to say this, I'll have to say it. The one thing I don't like about Bubble is that although is very easy to use and the outcomes are impressive, I can't see an option to change the color and size of the branches that appear when I connect containers I usually like to give a certain degree of "importance" to the mind map containers by making the branches thicker where things are most important, and I cannot customize this for this software. Bubble is a great tool for making mind maps in a few minutes. If you're a heavy user of mind maps, you'll find this tool very useful. I get a great benefit from Bubble, I can learn faster and more efficiently when I use it, and this translates into better services for my clients. Also, I can use Bubble to make charts that help me organize many types of my business (even procedures and clients' interests). "The mind is a fun thing..."
Bubbl.us is clean and clear from the beginning of using it. And when you are working with two of three additional folks... this simple and intuitive approach to mind-mapping is greatly appreciated by the entire team... the learning curve is nearly instant... love this fact! While they have a free account - which is fantastic and I wish more companies would do this, the monthly cost is sort of hard to justify unless you use it all of the time. We do not... and the free account is perfect. The issue is that it is a subscription service and if the excitement does not remain within the working group then the subscription is not renewed. A single payment with "updates" is the better business model. Use the free trial... but think hard about the annual contract - it will break the bank but if you're not using it all of the time... its value might not be there. But if you do use this sort of "process"... these folks are great! "Content creation" issues are always arising and this mind-mapping process actually smooths the process of content development out and allows several folks to view the "larger picture". The mind-mapping process has reduced a typical 360/VR content project by some three to five hours of planning... and time is money! "It is very user friendly and helps in formulating ideas quickly." I am able to work quickly with groups and change the colors of the bubbles. Sharing is easy and the layout is logical. I like that shortcuts appear as I work so it can go faster. I also enjoy that the interface is familiar and similar to Google Docs as I use that during my workflow when working with this product.I also appreciate the presentation mode, as it gives me an opportunity to be more professional. As a designer I do not find the layout itself as appealing as it could be. I am not able to change shapes of the bubbles for even quicker viewing, only the color (some coworkers I've worked with are color blind). A simple way to share ideas and come up with solutions either independently or as a group. It works well with students as a teacher and coming together with other designers. I am also able to share my brainstorming easily and collaborate with others online. A challenge I previously faced was collaborating on ideas in group projects or remotely. I find this is especially useful as well to young students, but may not be as useful to the Baby Boomers. That said, the interface is simple enough that it's fairly easy to understand. It may be even simpler if there was a short introductory when first using the site as is common for many sites I've used before. Bubbl.us is super easy to use and the option of having 3 free maps to start is more than enough to meet my needs. The design of the graphs does not look sophisticated. This is a tool for thinking, not for designing. Why can't it be both? This is a good tool to introduce yourself to mind mapping tools. There are others out there that are more sophisticated or allow more complex diagrams but that can be overkill. Bubbl.us is great for starters and once you get the hang of mind mapping with the tool, you can move on to more advanced solutions or even start creating your own from scratch. The fact that you can use it on mobile is another huge plus - so its possible to quickly jot down ideas and map them out on the go! Quickly mapping out ideas and finding points of friction early on in the product design/ideation phase. "An Easy to Use Browser Mind Map Tool"
- efficient keyboard shortcuts that help focus on work not on the 'how do I do'? - No offline Application Available. Even a Desktop App to sign in (like Figma has) would be enough to make me happy, that way I don't get distracted by the browser. - Web Design looks out of date before you actually get to the application. - For some reason I really don't like the logo. It's better than that of various open source or free software, sure, but I just can't get over that stretched B. - Sometimes, the bubbles crowd too close to each other and become unruly, so I have to manually fix it up again. Not sure how this can be solved, though. Well, try it! There's nothing better I can recommend. Do note that it sometimes works iffy on some browsers, and don't get scared by the old landing page. For the company I recommend actually making a Desktop Application available (even if it's just a browser wrap), or a way for me to access it on Mobile. It is definitely not happy working with mobile. - Quick Digital Mind Mapping that is way faster than any other application in execution. The User Experience is well done. It is almost as fast as on paper. - Mind Maps look pretty, so showing it to coworkers and clients looks more polished than my scribbles. - I have actually used this application for Site Maps, too. Works great. "Bubbl.us: A simple tool for making mind maps"
- It runs entirely online. - It allows making a colorful mind maps in minutes. - It allows rearraging the map using different layouts with a single click. Unfortunately, this simplicity can turn into ineffectiveness if you wish making a more complex map. - You cannot add elements external to the map, like images or other texts. I suggest other more powerful tools like draw.io or smartdraw. I have been using this tool when I needed making a mind map quickly. My students also used this tool with the same aim. "This is one of the best ways to plan a business in your brand before doing marketing!" I was searching the internet for the best way to do a sketch of a business that i had planned for a while to pose to my partners in a very easy and dynamic way, Bubble.us helped me a lot with that because it has a very useful tools that every web designer need to had, to create a web page concept, it is necessary the idea of those who accompany you, to exemplify that Bubbl.us has the option to create mind maps, you can have realtime collaboration with your partners and let them make a little changes to it, you can also check the history to see who has collaborated in the project, and that is great because everyone's opinion counts! the only fact that i do not like, is that you can not change the colors of the bubbles you want, also in the selection mode i think they need to do a undo button, it will be awesome! It is a great platform to do better ways of marketing considering the competition that we have these days, I would totally recommend Bubbl.us to all internet, it's amazing! the benefit that i have obtained is a better way to present my colleagues with better business opportunities without affecting the website or the meeting table to present something unpresentable, it is a better way to present it by Bubbl.us, that is why i wanted to thank you from the bottom of my heart. "SIMPLE BUT VERY GOOD BUBBL"
i make diagrams for the company i work to, diagrams are very useful for keep order in my tasks. "Bubbl.us is a quick and easy way to create mind maps in your web browser"
Bubbl.us is a quick and easy way for me to make mind maps of ideas I'm trying to express. Making and customising the bubbles are easy and they give you a huge white space so that you can map a lot of content. I find the visuals a little twitchy when I zoom in and out of the bubble map which isn't pleasant on my eyes. There are many mind mapping software products out there, however, Bubbl.us as a nice free tier and works in the web browser. Bubbl.us is very useful when I have an idea on my mind but I can't quite put it into words. I just start creating and connecting bubbles and eventually I can see the patterns. Your start with a doble click, and just tab to made another module or ctrl+enter and make a child of that module, that way you can keep up with your brainstorm! No idea will be left behind! Also you have a LOT, A LOT of space thanks to the resize feature that can ajust the size of your bubbles so you can acomodate as many as you want, so you don't have to worry about runout of space, and you add files a images. You can use the free version if you just need a few diagrams at a time, and upgrade if you need more. I can be annoying when you need to move a group of bubbles, because you need to click the select button, then select the bubbles one by one, and that can make you lose some time. Because all the actions are made with the left click, sometimes when you want to move around the bubbles you activate the bubble's menu, that can be annoying as well. my only recomendation so far is upgrade the select feature and make the bubbles menu less close to the bubble, sometimes i can't see what i was writen i waste time having to move the bubble or resize. "Bubbl.us is a useful mind mapping app"
I like that it a web based program that i can run on any operating system. it is very fast, lots of space to make the bubbles and I can easily move around the screen with CAD like mouse button presses. The UI can be difficult to use at times and objects can overlay each other and make it difficult to click on them. I recommend that you try it out as it is free. However make sure you pay attention to the keyboard shortcuts it requires. Bubbl.us is very handy for creating mind maps of ideas that I am exploring or items that I need to memorise. 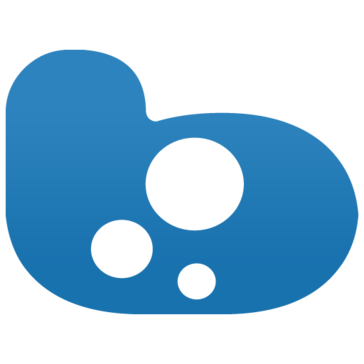 "Bubbl.us is a quick and simple way to make mind maps"
Bubbl.us is a great web application that allows you to create a simple mind map quickly and easily. It automatically spaces each of the bubbles (while also allowing for easy manipulation of the layout) and assigns different colours to each tier. Bubbl.us is a good and quick way to build a simple mind map. Bubbl.us is really useful when it comes to brainstorming quick ideas for projects that we are work on. This is useful in a business like ours because it allows you to lay features of a board out graphically and pick up potential problems at an early stage. Easy to use and share with team or ground assignment. I am not sure it is accessible for a screen reader. Use for students assignment for summarizing ideas and developing a concept. "I use Bubbl.us in my computer lab classroom." I like that it is easy for elementary students to use. I do not dislike anything about Bubbl.us at the moment. Bubbl.us is a great tool to use with elementary students. My students are able to create graphic organizers. The students are able to organize information after reading about a topic. I don't think the design is great, but it is functional and does its job. "Bubbl.us is free and easy to use." As mentioned in the title, it's free and easy to use. I've created mutliple mindmaps with this product and it's easy enough for anyone to adopt. I'd prefer to be able to use this product as a way to take notes and maybe have a side-navigation bar to allow me to go back and view previous maps easily. A chrome app would be great or a computer app. Organizing thoughts is what I personally use it for the most but it's also helpful in brainstorming sessions with my team. One of our team members purchased the Mindware app but I'd rather use free. "quick and easy to make good looking mindmaps"
Bubbl.us is intuitive to use and has allowed me to create attractive mindmaps which are suitable for use in reports and presentations. It can be a bit time consuming to build up the diagram and to get it looking exactly right. Bubbl.us allows ideas to be represented visually which is ideal when describing complex ideas to others. I have used it to create impressive looking presentations. I haven't really used this beyond experimentation for quick web interfaces. * We monitor all Bubbl.us reviews to prevent fraudulent reviews and keep review quality high. We do not post reviews by company employees or direct competitors. Validated reviews require the user to submit a screenshot of the product containing their user ID, in order to verify a user is an actual user of the product. Hi there! Are you looking to implement a solution like Bubbl.us?